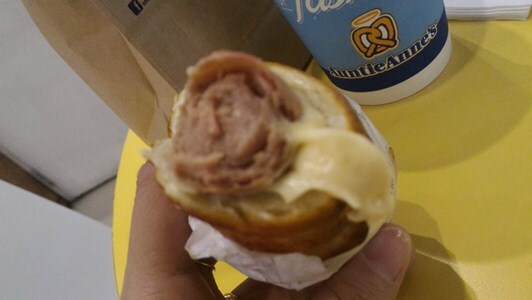 We’ve dropped by Auntie Anne’s in Robinsons Galleria twice last week per my son’s request. We’ve ordered the following on those two visits: Cinnamon Sugar Pretzel, Cheese Pretzel Dog, Two-Cheese Pepperoni Nuggets and Old Fashioned Lemonade. 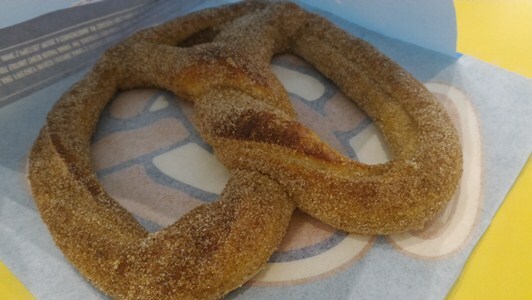 My son’s ultimate favorite specialty pretzel from Auntie Anne’s is Cinnamon Sugar Pretzel. It’s a soft pretzel with a chewy crust sprinkled with cinnamon powder and sugar, served fresh from the oven. He would have had an extra order of this delectable pretzel had he got his way. That’s how much he loves it! 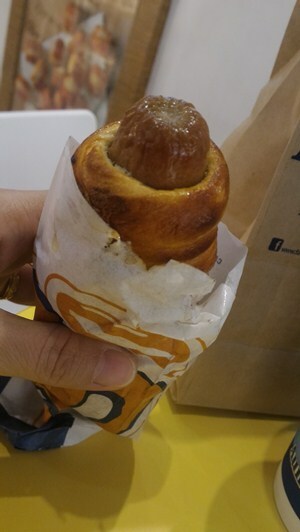 Cheese Pretzel Dog is our newest favorite treat from Auntie Anne’s. It’s a pretzel stuffed with hotdog and cheese. As you can see, the hotdog is longer than the pretzel! And Look at that gooey cheese! So sorry for the blurry photo, though. 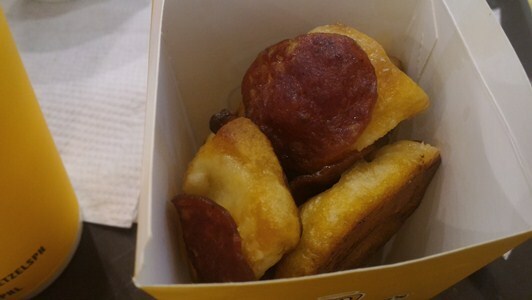 We also tried one of their bite-sized pretzels, the Two-Cheese Pepperoni Nuggets. It was also a delight to munch on these, but the combination of the cheese and peperoni was a bit salty for us. We’ll try other pretzel nuggets next time. 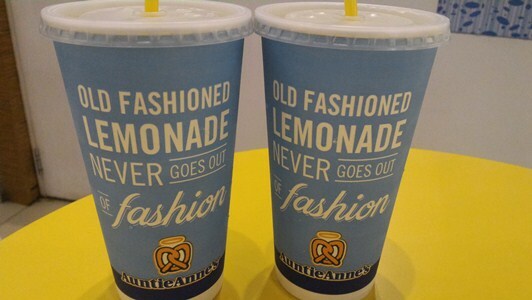 I personally think that all of Auntie Anne’s pretzels are best paired with their Old Fashioned Lemonade. It’s so cool and refreshing, tangy and sweet but not overly so. Expect us again, Auntie Anne’s! This entry was posted in American Cuisine, Auntie Anne’s. Bookmark the permalink.